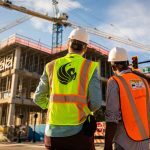 UCF’s newest District Energy Plant is designed to help teach engineering students how to build a cleaner world. A UCF professor discusses how seemingly small changes in sea levels will have big consequences for our coastlines. New head football coach Josh Heupel is as real as it gets. Sarah Kim ’10 went from being an accountant to a full-time travel blogger. Here are her tips for planning your next trip. A revealing conversation with UCF’s new president, Dale Whittaker. What a game is teaching South Florida families about hurricane preparation in real time. Students start the semester by showing off their freshest outfits. Two UCF alumni launched Project 375 to make mental health the most important topic of conversation you have today. Rick Brunson ’84 on why journalism education has never been more important or more challenging. 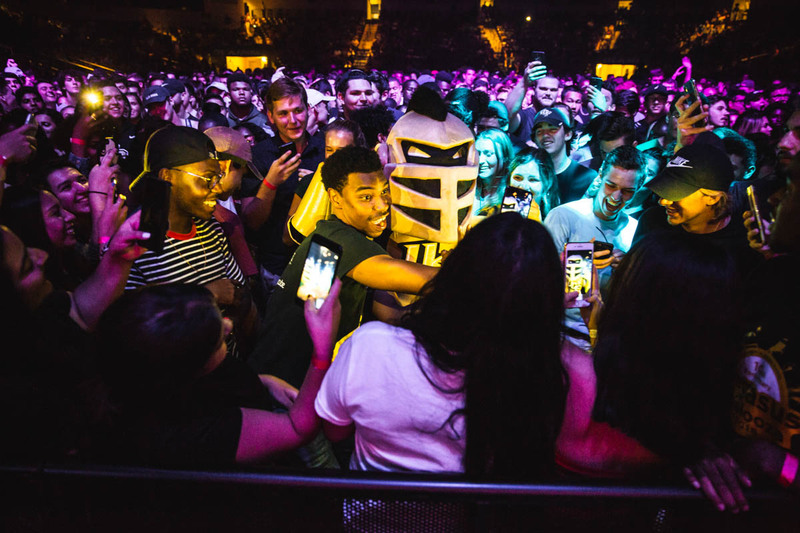 UCF’s programming team became first in North America by falling behind. UCF now manages the second-largest single-dish radio telescope on the planet — the Arecibo Observatory in Puerto Rico. 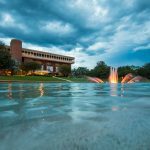 Fifty years ago, Central Florida changed forever when UCF opened for classes. 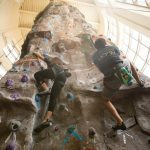 From commencement ceremonies to rock climbing, campus was full of personal achievements this summer. 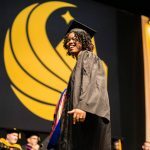 From commencement ceremonies to rock climbing at the Recreation and Wellness Center, campus was filled with fun celebrations and dynamic challenges during Summer 2018. 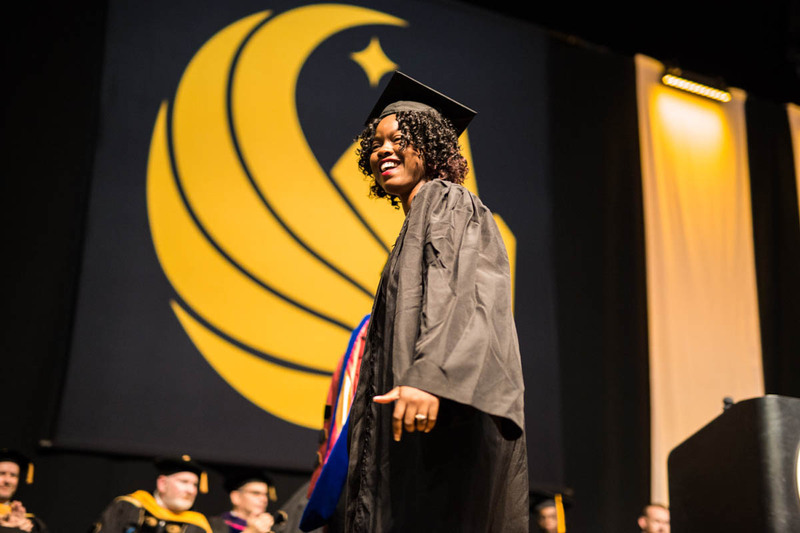 More than 8,100 Knights graduated this spring during six commencement ceremonies. 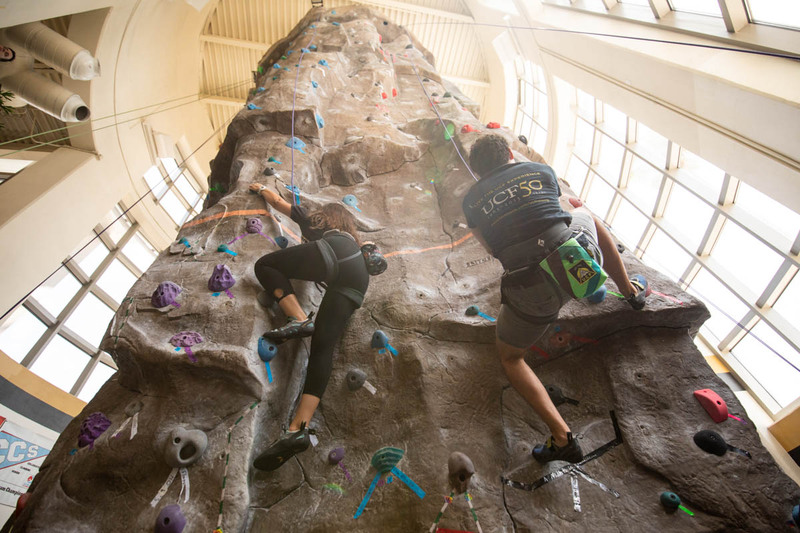 Two students raced to the top of the Climbing Tower located in the Recreation and Wellness Center. 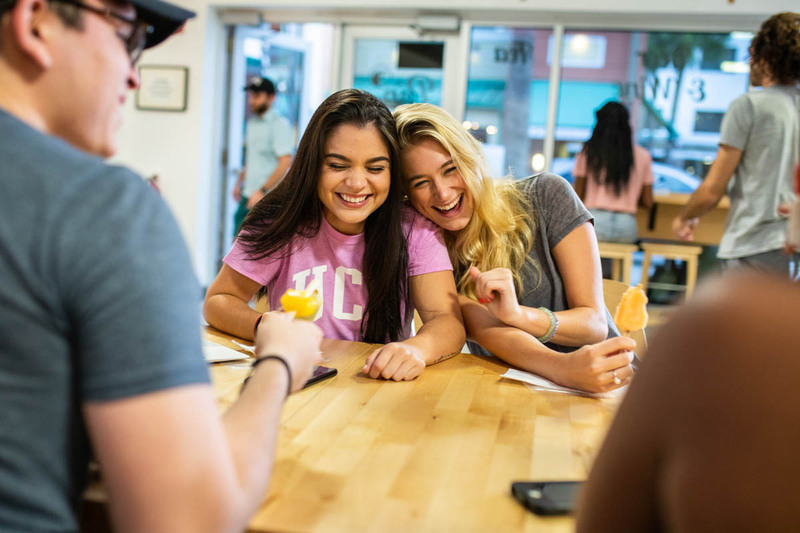 Students enjoyed some gourmet popsicles at alumni-owned Pop Parlor in Knights Plaza. 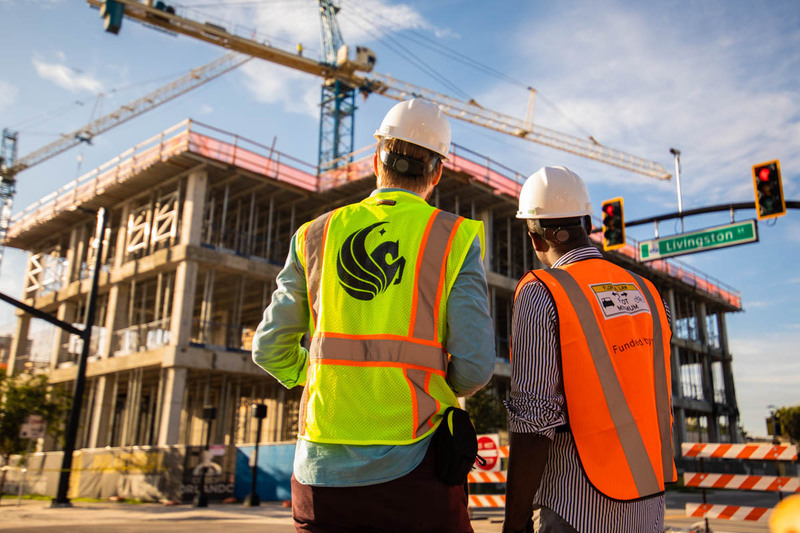 Construction on the new UCF Downtown campus is underway and on schedule to open in Fall 2019. Take a peek at what it’ll look like. 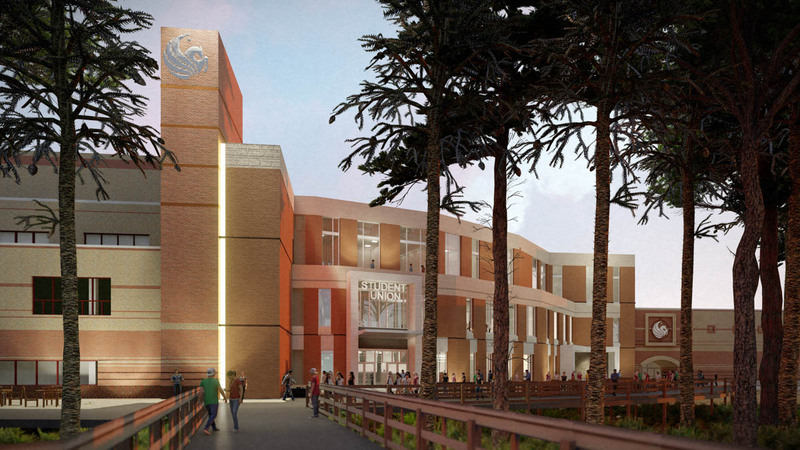 The Student Union may look different the next time you’re on campus. 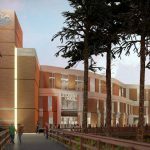 A renovation is adding an additional 15,000 square feet to the heart of campus, which means more space to gather, study, eat and find relief from the Florida heat. Take a peek at what it’ll look like. 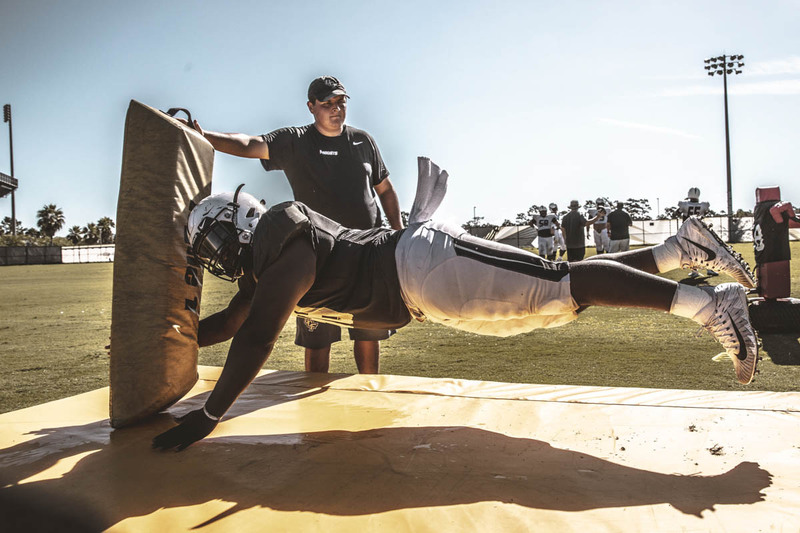 Defensive lineman Malcolm Williams went airborne while practicing tackles during football camp. 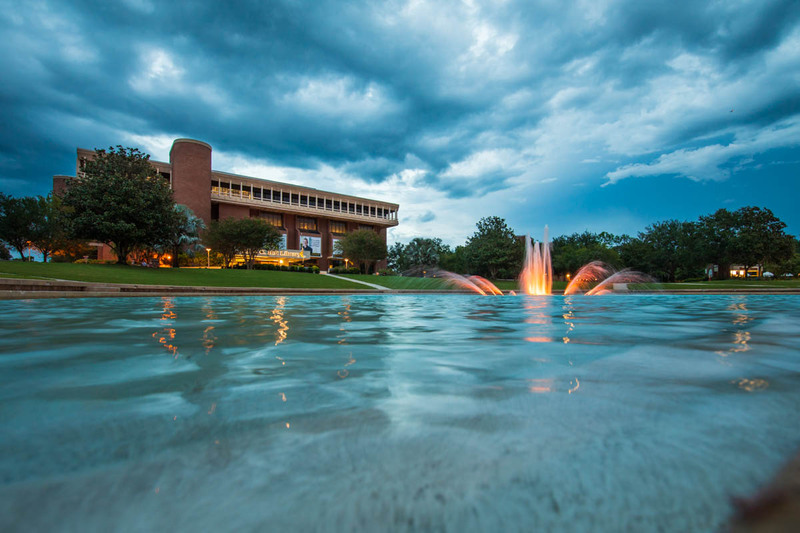 August heralds the start of classes, the return of students and dark, afternoon Florida storm clouds. They are rife with electricity but also heavy with raindrops that revive and offer cool respite — not unlike the feelings of trepidation and promise that come with a new semester. 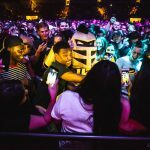 Students gathered to take selfies with Knightro during Pegasus Palooza’s concert night at CFE Arena. See more photos from Pegasus Palooza.